Millions of fans will tap their favorite social networks during the coming weeks for live updates, highlights and on-the-ground reports from the Rio 2016 Olympics. Social sites are also where fans will turn to share the glory of the athletes' greatest achievements in real time. 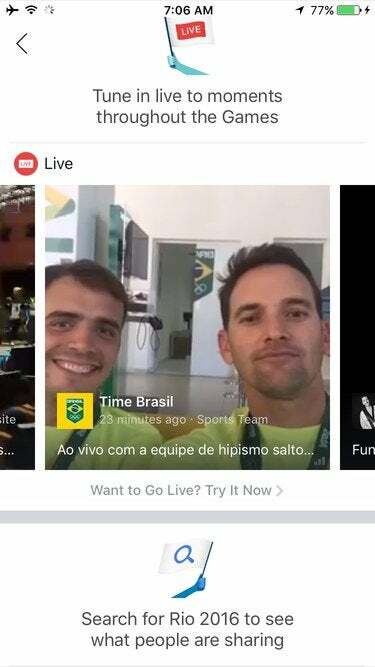 Social media's biggest companies all struck deals to better position their apps and services to showcase the action in Rio de Janeiro. Here's how to follow it all from afar using Facebook, Twitter, Instagram and Snapchat. You can follow the official accounts for the Olympics, the Olympic Flame and Rio 2016, and the #Rio2016 hashtag helps keep track of all the action. Fans can also follow a list of athletes who are competing in Rio. Twitter's Periscope app will feature a dedicated channel with Olympics-related content, and Vine will showcase video loops from the Olympics in its Explore section, according to Twitter.